The Galaxy A8 (2018) and the Galaxy A8+ (2018), which are what we’re now supposed to call this year’s Galaxy A5 and Galaxy A7, have been the talk of the rumor mill for a long time now, and it looks like we’re finally close to an official announcement. 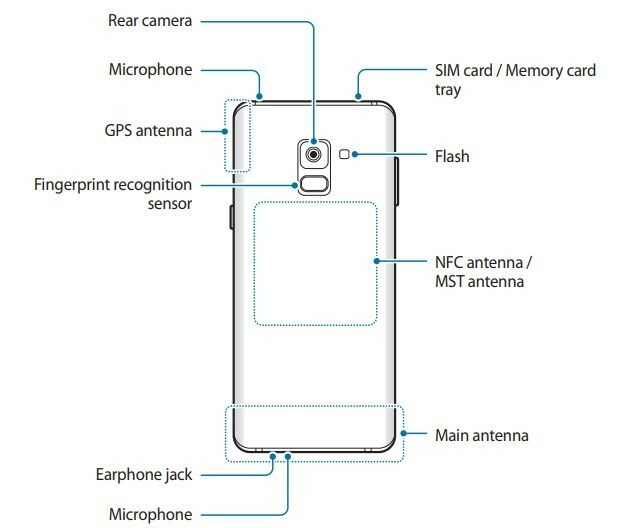 The user manual for the phones has been uploaded online on Samsung’s website, and it reveals a fair bit about the company’s newest mid-range flag-bearers. It had been suggested by a leaked image of one of the phone’s front panels, and the manual tells us dual front cameras are indeed a part of the new A series devices. 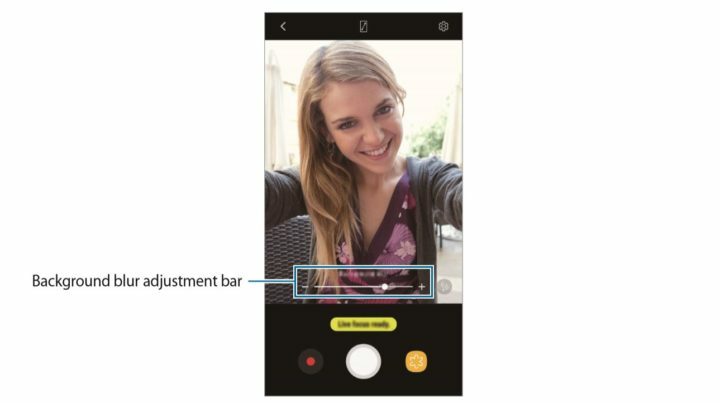 Since there are two cameras at the front, the camera app will come with the Live Focus feature for selfies. We don’t know the megapixel count on either sensor at this time, but we’re guessing the primary sensor will be a 13-megapixel unit at most, rather than a 16-megapixel sensor as seen on the 2017 models. Thankfully, it doesn’t look like the dual front cameras are exclusive to the Chinese variant, unlike the dual rear cameras seen on the Galaxy J7+ (the J7 (2017) for the Chinese market), as the manual mentions the standard international model numbers for both the A8 (2018) and A8+ (2018). Also, the S8’s live stickers are a part of the camera app as well. Bixby (with Bixby Vision), too, is in there, but without a dedicated button and, therefore, Bixby Voice support. 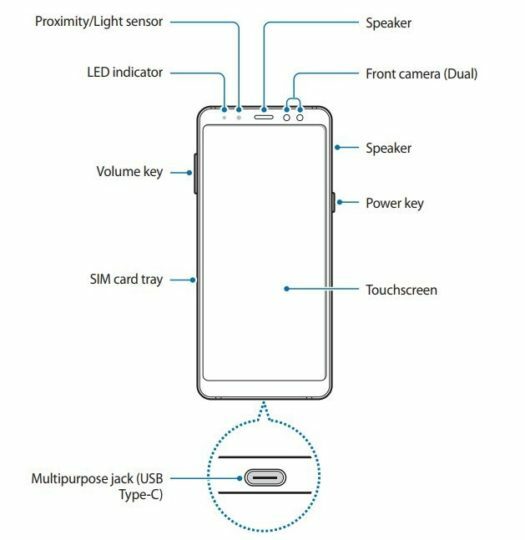 We can also see the Infinity display being confirmed by the manual (although the actual sizes are still unclear), with on-screen navigation keys making their first appearance on a mid-range Samsung phone. The Korean giant has also decided to put a LED notification light on the A series. Always On Display, meanwhile, is making a return. And, hey, is that a rear fingerprint sensor located in a place that’s easily reachable by more than just humans with plus-sized hands (and an affinity for discomfort) on a Samsung device? It sure is, and while we didn’t need it, this can be taken as confirmation that the same will be the case for the upcoming Galaxy S9 and Galaxy S9+. About time, too, especially with in-display fingerprint sensor technology still only a distant possibility. As usual, the manual doesn’t reveal any specs, other than the fact that the A8 (2018) and A8+ (2018) will run Android 7.1.1 Nougat and support Samsung Pay over both NFC and MST. It shouldn’t be long before Samsung unveils these handsets, although it’s still unknown if that will happen in December or sometime next month. Samsung has never been too particular about following a proper schedule for its non-flagship phones, so we’ll just have to wait and see. Are you looking forward to the new Galaxy A series phones? The Bixby button is actually a feature for me, i use it every day on my Note8 because with the app BxActions you can make it do whatever you want, i press it once to switch from vibrate to sound and vice versa even when the display is off i press it twice to turn on/off the flash light and press and hold it to go full screen on any app which lets let’s you use the entire display and it works flawlessly. The only one more thing I wish to be in new A8 is wireless charging.